Yummy, scrummy, and a fun way to start the day. 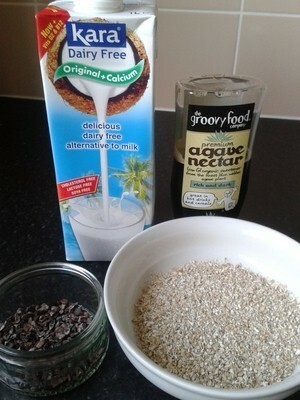 Plus this is great for kids who have a dairy-intolerance, and it's naturally low in sugar. 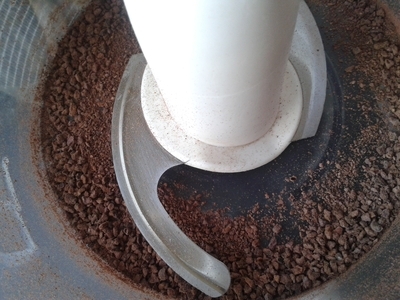 Place the cacao nibs in a food processor. Blitz until a fine powder forms. 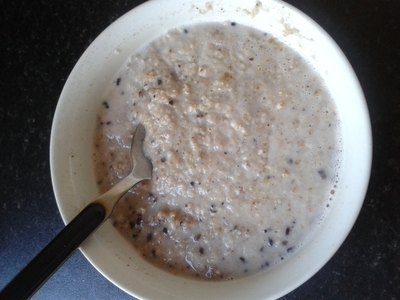 Pour the oats into a bowl along with the milk and place in the microwave 2 minutes. 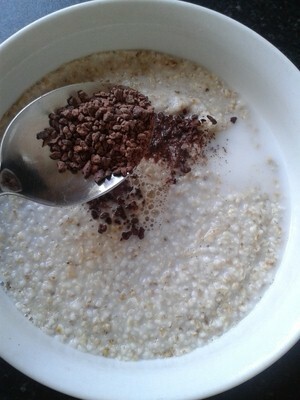 Remove after one minute and add the powdered cacao nibs. Place back in the microwave for a full minute. 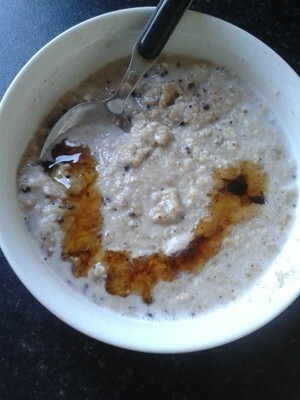 Top with the agave syrup/honey. Mix together for a bowl of chocolatey-yummy goodness.